A few things that are going on around town and, really, around the state. Also, something that has been in the local food plane the last few months is happening next week. Many local chefs, restaurateurs and all-around foodie folk are banding together to come to the aid of a local restaurateur in need. Mike Rothman is the owner of Skippy’s Hot Dogs, famous for their pretzel buns. Mike has glioblastoma, an aggressive form of brain cancer and had some tumors removed earlier this year. Even though he has insurance, there’s only so much that it will pay and meanwhile he has a beloved (by him and the WSNC folk) restaurant that is sitting idle and unopened. Mike had to move back to Pennsylvania in order to be with family that will help with his recovery. In what they’re calling “Mike’s Week” (#MikesWeek on social media, please), the awesome people behind some of Winston’s best downtown restaurants are coming to the rescue; at least coming to a relief. 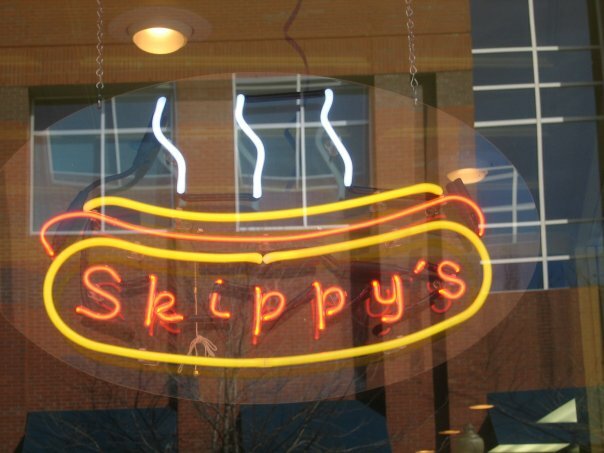 They’re going to open Skippy’s for one week starting April 23 and going through April 30. All the proceeds from this project will go to Mike. These opened days are done by volunteers of the restaurants involved, including their executive chefs, owners, bartenders, waitstaff and dishwashers. Everyone is getting involved. The restaurants that are involved include: Spring House/Quanto Basta, Jeffrey Adams/Old Fourth Street Filling Station, Mozelle’s, West End Coffeehouse, DiLisio’s, Kabob’s on Fourth, Mary’s Gourmet Diner, Sweet Potatoes, Finnigan’s Wake and King’s Crab Shack/Silo Bistro/Willow’s Bistro. I hear there is also inquiries about more openings. Each day the restaurant(s) on duty will create their own twist on hot dogs. Unfortunately, Mike is the only one that does the pretzel buns, so that’s going to be missing, but the restaurant community is coming to his aid in a really awesome way. So, between this Saturday, April 23 and April 30th, won’t you stop by for a great dog for a great cause? 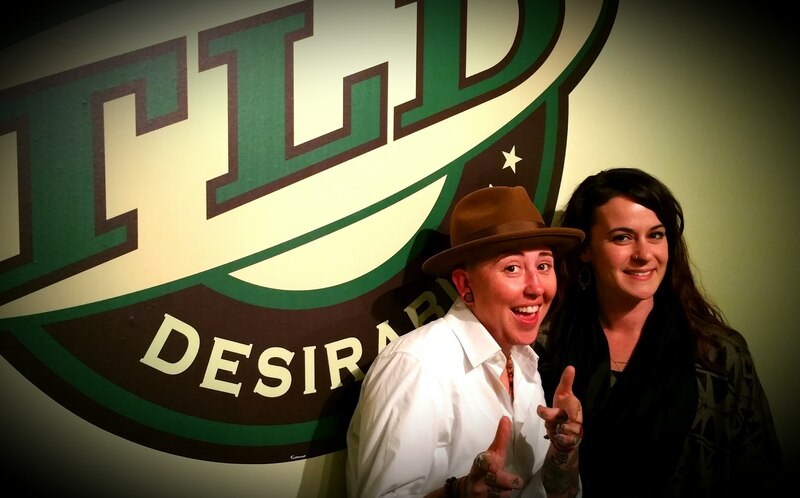 Last week on The Less Desirables, they (we) had Chef Kris Fuller (and her wife, Rachel Walker), owner of Crafted: Art of the Taco and Crafted: The Art of Street Food in Greensboro. You probably know, that she is opening, finally, Crafted: Art of the Taco here in Winston-Salem. 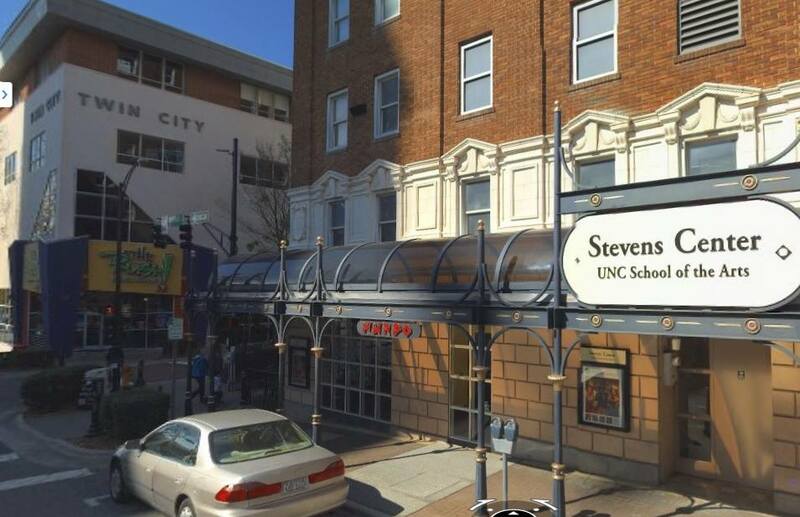 It will be just south of the intersection of Sixth and Liberty on Liberty Street. She’s very excited about the opportunity and we are very happy that she’s bringing that deliciousness to our fair city. The timeline, as of right now, is looking like late fall. We that follow restaurants and happenings realize that you take the target and add a little time to it to be realistic. That’s true with just about any business. Without going into much details about their history, Crafted: Art of the Taco (East), Kris and her mother, Rhonda started another popular restaurant, The Bistro, in Adam’s Farm and had to close it due to road development. The success of that restaurant gave them motivation to open another. Art of the Taco wants it known that they are definitely not a Mexican restaurant, they’re a taco joint, plain and simple. Or, not really that simple. I’m sad to say that I haven’t actually eaten there, but Kris made me promise to come down and try it before Art of the Taco West opens. There’s also talk of a certain “branded” taco when they do open. We’ll see what happens with that. In news outside Winston-Salem, even outside of the Triad, a Triangle brewing staple has announced that it is closing. In fact, the name of the brewery is Triangle Brewing Company and they’re closing their doors on April 30th. Triangle has been sold at City Beverage, at least in the past, and there are fans of that brewery here in Winston. The Less Desirables met one of their most loyal fans, we call him: Superfan Damien, at Triangle so it’s hallowed ground in TLD’s lore. Their brews include: Belgian-Style Strong Golden Ale, an IPA, Belgian White Ale, Imperial Amber Ale, all of which were available in cans and sold in this area. There are plenty of other styles that they produced. They will open, as I stated, for the last time at 4pm on April 30. They will stay open until the last drop of beer they have left is gone (or until 2am, whichever is sooner). So, since it’s the same day, perhaps you start with breakfast at Skippy’s and head to Durham for a beer-filled send off? Just drink responsibly and take a designated driver. I don’t know all the details on why they’re closing but my “man on the street,” Superfan Damien is going to find out and let me know so I can report on it. So that’s the things happening this week that I found noteworthy. There are plenty of things going on and I’ll do my best to update so you know! If you have WSNC food news and want my readers to know about it, please feel free to send me an email.